Any questions relating to our website or terms and condition our terms & conditions, you should contact us on 0422 600 833. Metrocarremoval.com.au reserves the right at all times to change, vary, alter, amend, add to or remove any of these terms. By browsing the website you accept that you are bound by the current terms & conditions and notices and we therefore recommend that you check these each time you revisit the site. The current draft of these terms and conditions was adopted and published on December 2015. All copyright and other intellectual property rights in any material contained on this website is either owned by Metrocaremoval.com.au or has been licensed to Metrocarremoval.com.au by the rights owners. Links to the Metrocarremoval.com.au website are not permitted other than to the Home Page except with prior written permission. The content of the website is for general information only and does not constitute any form of advice or recommendation upon which a specific decision should be made.Metrocarremoval.com.au has done its best to ensure the accuracy and currency of the materials contained on its website but excludes any warranty express or implied as to quality, accuracy, timeliness, completeness or fitness for a particular purpose of the material contained on the Metrocarremoval.copm.au website. Metrocarremoval.com.au specifically excludes to the fullest extent permitted by law all liability that may arise with respect to the use or inability to use this website, any information contained in the website, or arising from any unauthorised access or alteration to the website whether direct, indirect or consequential including damage, costs, injury or financial loss of any kind. This clause shall not exclude liability for death or personal injury directly caused by the negligence of Metrocarremoval.com.au. Whilst the Metrocarremoval.com.au website may from time to time contain advertising material, Metrocarremoval.com.au does not endorse or accept any liability for any of the products or services so advertised, or for any error or inaccuracy in the advertisements. Advertisers and sponsors are responsible for ensuring that material submitted for inclusion on the website complies with all relevant laws. Metrocarremoval.com.au reserves the right at any time to suspend or terminate your access to or use of the website. 14. Metrocarremoval.com.au may transfer, sub-contract or otherwise deal with [Metros] rights and/or obligations under these terms and conditions without notifying you or obtaining your consent. You may not transfer, sub-contract or otherwise deal with your rights and/or obligations under these terms and conditions. The failure by Metrocarremoval.com.au to exercise any right or remedy under these terms & conditions shall not constitute a waiver of that right or remedy. These Terms & Conditions of use shall be construed and interpreted in accordance with English law. The courts of England shall subject as set out below clause have exclusive jurisdiction in relation to any claim, dispute or other matters arising there from. 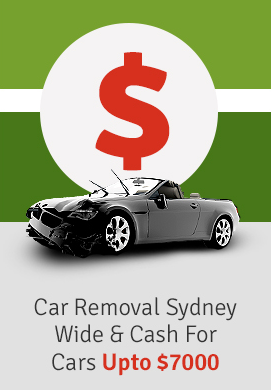 For the exclusive benefit of Metrocarremoval.com.au, Metrocarremoval.com.au shall retain the right to bring proceedings in the Courts of the country of residence of any user of the website.